His teammates called him Zip. Zip played in exactly two games with the Cubs. The team brought him in to help out in the bullpen on days they had double headers. The first time he came in was on July 28, 1920. He relieved Hippo Vaughn and gave up two runs on three hits in an 8-4 loss. The final game on the Cubs (and in the majors) was on September 6th of that year. He didn’t have good control. He walked three, gave up three hits and four earned runs. His final ERA was 12.00. 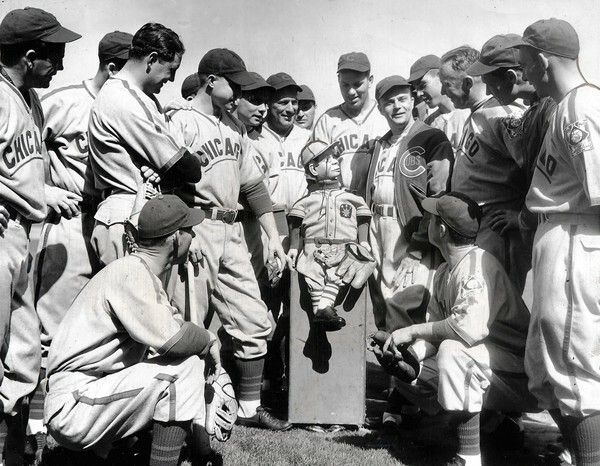 On this day in 1939, the Cubs arrived at their Spring Training facility on Catalina Island in California. They were the defending National League champions. During the time the Cubs trained in California, in the years before a big league team had moved out west, the Cubs were the toast of Hollywood.